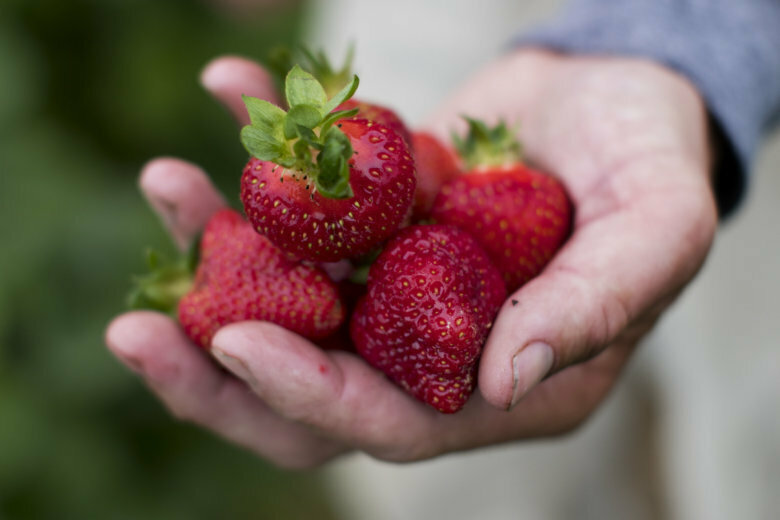 WASHINGTON — Strawberry season is just around the corner, but before you chow down on a pint or two of the sweet red berries, know this: Strawberries contain more pesticide residue than other popular fruits and vegetables. The analysis found strawberries and spinach to contain the most — one-third of all conventional strawberry samples contained 10 or more pesticides and 97 percent of conventional spinach samples contained pesticide residues — and avocados and sweet corn to contain the least. Sonya Lunder, a senior analyst at EWG, said the point of the annual guide is to equip consumers with the knowledge and information they need to make the best purchases for their families — especially if they are trying to avoid pesticide residues in their foods. “You walk into the grocery store and the food’s polished and symmetrical and fresh, and most people are just surprised to learn that about 70 percent of conventionally grown produce has at least one detectable pesticide residue on it, and sometimes multiple,” Lunder said, adding that across the analyzed data, more than 200 pesticides and pesticide breakdown products were detected on conventional fruits and vegetables. Because organic farmers are more restricted on the types of pesticides they can use, organic foods are often lower in pesticides — especially synthetic varieties. Apples, grapes, tomatoes and peaches also made the guide’s “Dirty Dozen” list for containing detectable pesticide residues. Pineapple, onion, asparagus and eggplant all landed a spot on the “Clean Fifteen” list, which recognizes conventional foods that are low in pesticide residues. “These are foods that people can buy with confidence and ingest fewer pesticide residues,” Lunder said about those on the Clean Fifteen. According to a report from the National Academies of Sciences, Engineering and Medicine, some pesticides are linked to cancer and can damage the nervous and reproductive systems, depending on the dose. However, whether trace amounts detected in food, controlled and regulated by the government, have a direct impact on human health is a topic of controversy. If you take a more cautious approach to pesticides, but can’t afford to shop exclusively organic, Lunder said choose conventional for those foods on the Clean Fifteen list. “There are some foods that people eat a lot, there are some foods that kids eat a lot — especially when they’re in season — and we encourage people to take a look at this Dirty Dozen list and consider buying those foods organically,” Lunder said. You can find the full Shoppers Guide to Pesticides and Produce and read the full report on EWG’s website.